A couple of days after reinstalling Windows 10 on my Surface Pro using a Windows 10 DVD created with Microsoft’s Media Creation Tool, I realized that BitLocker was not working properly. When looking into this, I found out that this was caused by the fact that the setup program of Windows 10 Version 1803 did not setup the Windows Recovery Environment properly. 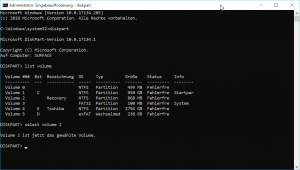 To be more specific, with 499MB, the partition created by the setup program was simply too small to fit the current version of Windows Recovery Environment. 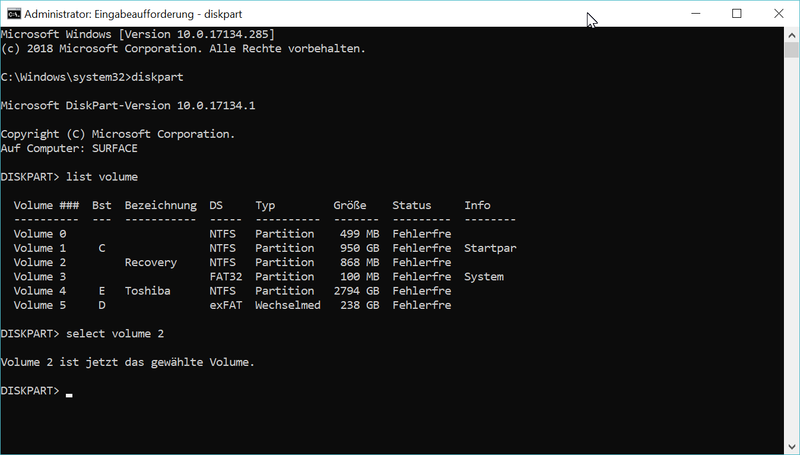 When activating the BitLocker for my system drive, BitLocker detected that the Recovery Environment was not working and rightfully decided to shrink the main system partition to add another partition with 868MB at the end of the disk. However, this new recovery disk was also non-functional. As a result, BitLocker reported that my Surface Pro “does not support entering a BitLocker recovery password during startup” and that I should ask my “administrator to configure Windows Recovery Environment so that you can use BitLocker”. 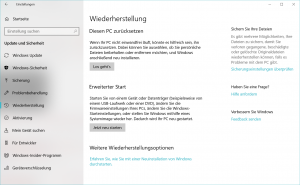 Open cmd as administrator: search for cmd in the start menu right-click and select run as administrator). 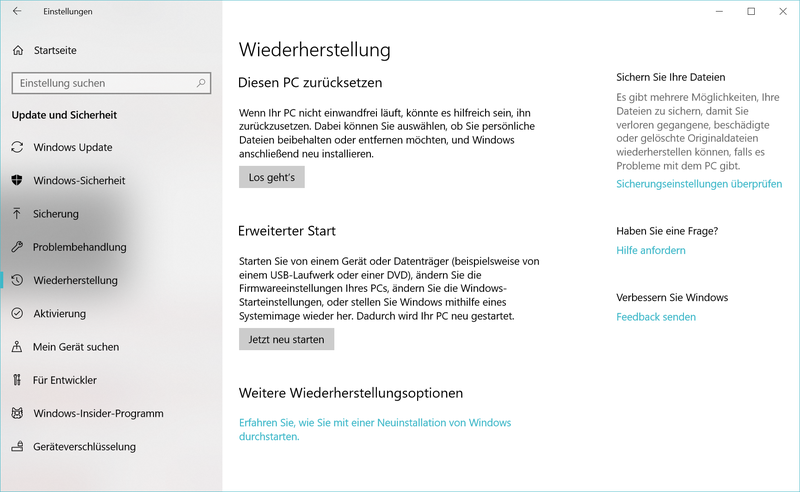 Now you should be able to use your new Windows Recovery Environment during an advanced startup. To boot in advanced startup mode, open the Windows settings, then open the “update and security” section, go to “recovery” and choose “advanced startup”. After the reboot, you will see a blue menu and there should be about 7 different options in the advanced recovery section. The options should include restoring Windows from a previously created system restore point. If you only see one or two (configure UEFI and something else), something went wrong, and you might want to go over the previous list of tasks again. If everything went well, you can simply reboot your machine and turn on BitLocker. Have fun.